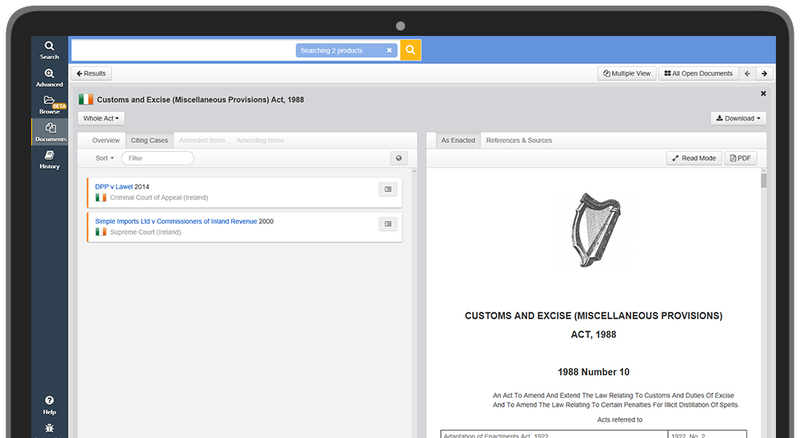 Our Irish Core collection contains over 84,000 unique full-text cases and Irish legislation dating back to 1808, including Justis Irish Case Law (JICL), Judgments in the Law Library (JILL), Statutes and Statutory Instruments. 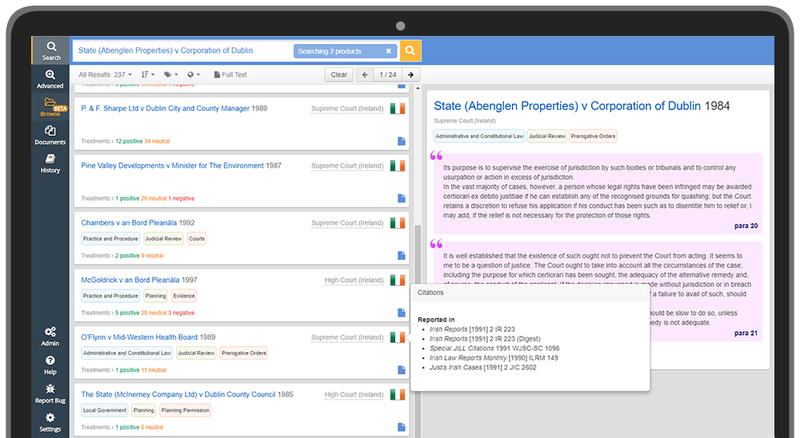 We also provide the Irish Reports and Digests and offer you the option to search and link directly to an additional 70,000 Irish legislative provisions. Our Irish Core collection is the largest collection of Irish content available anywhere online, and an essential resource for all Irish practitioners. We also provide coverage for an additional 25 common law jurisdictions including the EU, United Kingdom and the Caribbean. 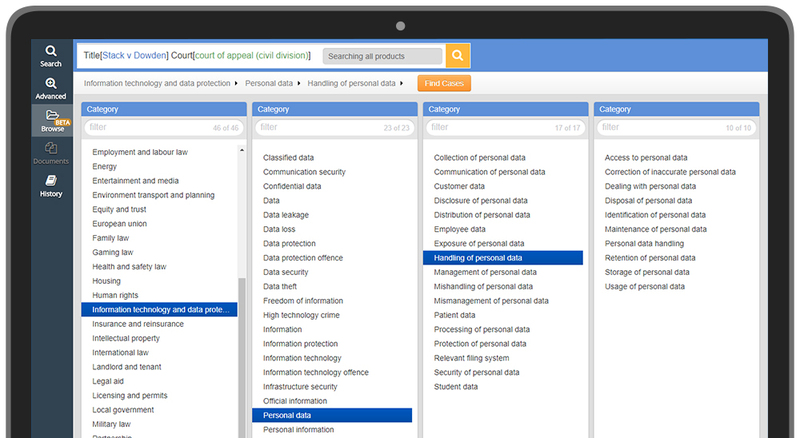 JustisOne is updated daily, with over 100 Irish cases added each month. Additionally, Justis and the Incorporated Council of Law Reporting for Ireland (ICLR) have reached an agreement to make recent judgments available on Justis as soon as their editorial steps have been completed. Commonly cited in Irish courts, Justis Irish Case Law (JICL) is a series covering the High Court, Court of Appeal and the Supreme Court cases including those which have ultimately been reported as well as unreported cases from 1998 onwards. The collection includes the Judgments in the Law Library (JILL) – a large set of cases maintained by the Bar of Ireland. The JILL collections were previously only accessible to members of the Bar of Ireland until 2016. All top universities for law in Ireland listed in the Times Higher Education World University Rankings 2018, subscribe to Justis. The most authoritative series of Irish case law from 1808-present, published by the Incorporated Council of Law Reporting for Ireland, alongside the Irish Digests series – a comprehensive record of cases published in The Irish Reports, The Northern Ireland Reports, The Irish Law Times Reports, The Irish Law Reports Monthly and more. 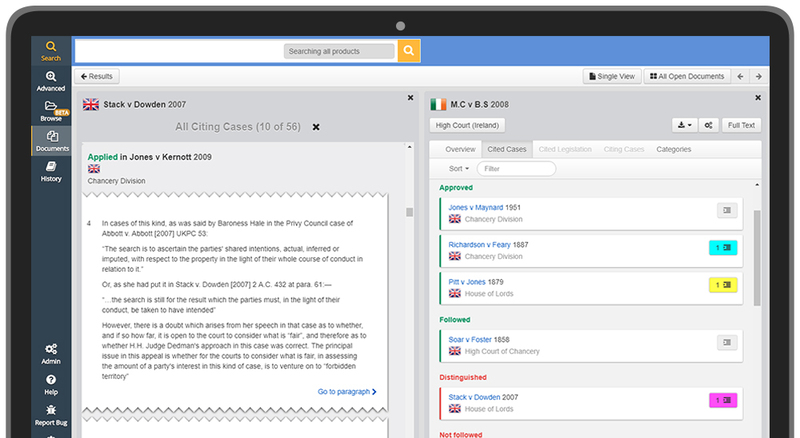 Our Irish core collection includes PDFs of the original court documents, signed and approved by the judges in each case. Search for transcripts of cases published in: The Irish Reports, Irish Law Reports Monthly, Irish Law Times Reports, All England Law Reports, International Law Reports and many more on JustisOne. 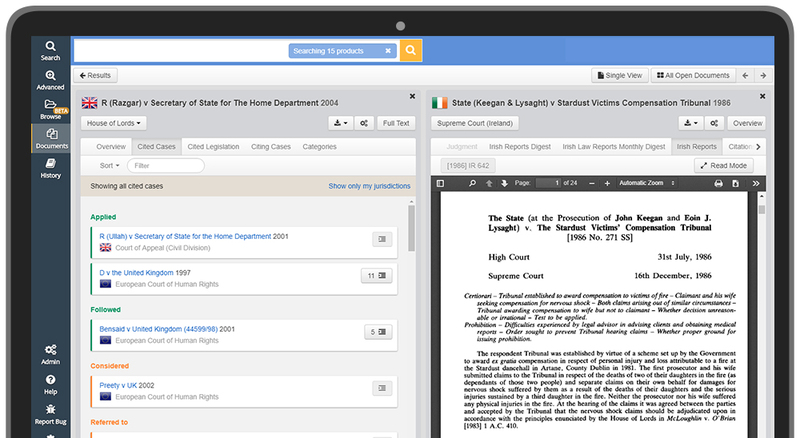 Irish court determinations are available on JustisOne, and included within the Ireland Core. 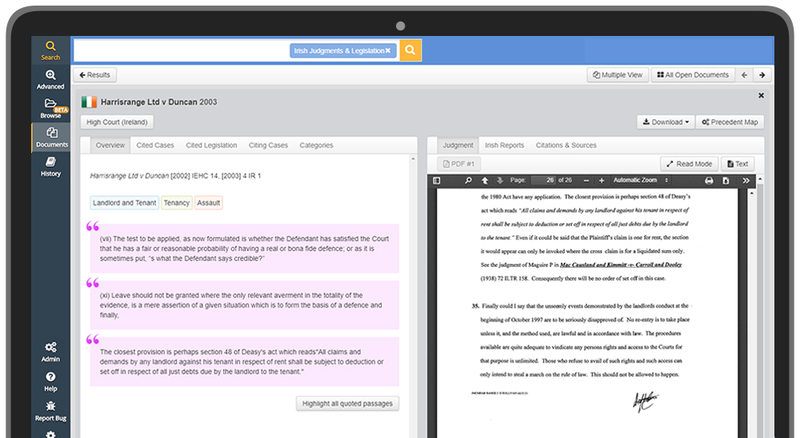 Determinations are hearings on whether to admit an application for an appeal to be heard by the Supreme Court, and can be located using the appropriate citation, such as  IESCDET 38. JustisOne provides you access to over 40,000 Statues and Statutory Instruments, from 1925 onwards. Subscriptions start from €833. 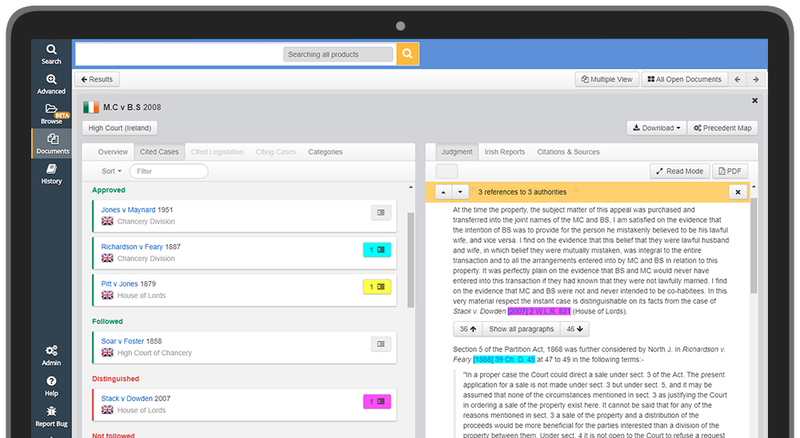 Book a personalised demonstration with our team to experience our legal research platform, and discuss our coverage.